KATHMANDU, Jan 11: Families living in risky areas in the earthquake-hit districts have been increasingly seeking collective relocation, thanks to the National Reconstruction Authority's offer to help develop basic physical infrastructures like road, sewerage, electricity and drinking water facilities required for the new settlements. On Wednesday, as many as 18 families of Gaati VDC of Sindupalchowk district collectively purchased a plot of land in Bharabhise for safe relocation. 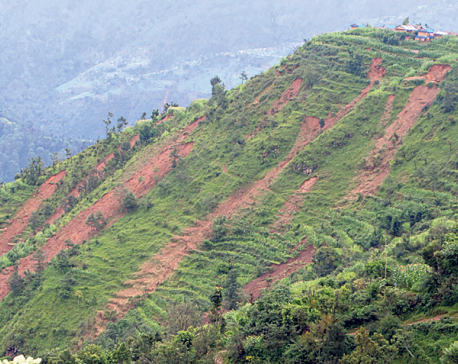 The village is one among dozens of settlements identified as facing the risks of landslides in the wake of the devastating earthquakes of 2015. According to executive member of NRA Dhruba Prasad Sharma, the families contributed some amount on their own in addition to NRA's relocation grant of Rs 200,000 provided to each of the families seeking relocation to purchase the land in Bharabhise for the new settlement. 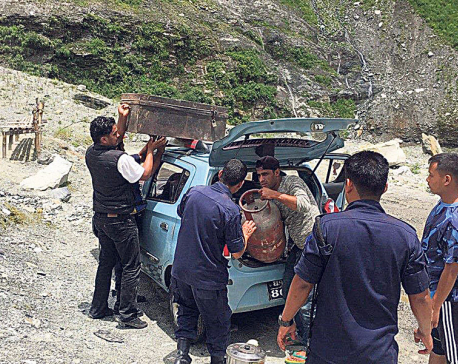 With the purchase of the land by the families, the task of relocation has formally kicked off in the district which reported highest causalities and loss of properties by the earthquakes. “Now that they have purchased the land, the families should begin building their houses within a month as per the agreement. The NRA's scheme of contributing up to Rs 500,000 for developing basic physical infrastructures like road, sewerage, electricity and drinking water facilities required for the new settlements apart from providing Rs 300,000 each as housing grant to the families have lured families residing in risky areas for collective relocation,” Sharma added. According to NRA's relocation directive, the NRA will contribute up to Rs 500,000 for physical infrastructure development if more than 10 families living in risky areas purchase land together for collective relocation. He said as many as 150 families among the 500 plus families that need to be relocated in the district have entered the final phase for collective relocation. Earlier, in Nuwakot, another quake-hit district, as many as 24 families had purchased land with the support of the relocation grant for collective relocation. Families in Dhading and Rasuwa districts are also seeking collective relocation. Last month alone, as many as 18 families purchased land together for collective relocation in Dhading. “The trend of purchasing land for collective relocation is increasing. We are also encouraging villagers to seek collective relocation so that it will be easier for the NRA to mobilize resources more effectively and ensure safe relocation,” Sharma said. As per a survey carried out by NRA two years ago, the number of families that need to be relocated is 2,498. However, only 98 families have been relocated so far. The NRA has been criticized for not being able to speed up the relocation work despite the fact that the victims face high risk of landslides and even earthquakes. Even after almost three years of the disaster, the relocation task has only begun in four of the 14 most-affected districts, much to dismay of the quake victims.